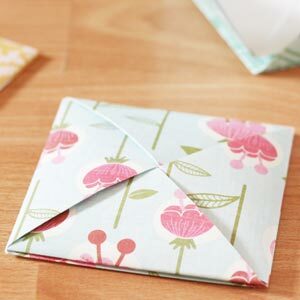 On this page I'll show you how to fold an envelope out of a letter, so that you have letter and envelope in one . This is a really neat way of writing gift tags, Christmas messages, or love letters. 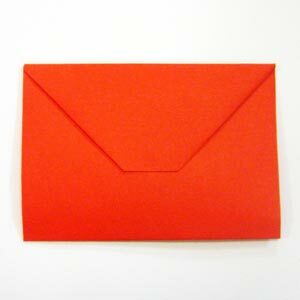 It's really easy to make your own envelope. A nice thing about this particular origami envelope is that one side is completely plain, without any folds going across it. So, there's plenty of space to write an address, or pretty it up with a stamp or sticker. You can make make this envelope from any sort of paper - scrapbooking paper, wrapping paper, or just regular note book paper. This design was created by Oriland, although I'll show a slightly different method of folding. If you're at all interested in origami, make sure you check out the Oriland website - they have some beautiful designs. How did your envelope turn out? If you have any comments or suggestions, or just want to say hi, you can contact me directly with this handy form. 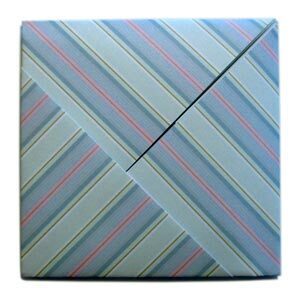 Or check out my page of gift wrapping techniques.